For Zion’s sake will I not hold my peace, and for Jerusalem’s sake I will not rest, until her righteousness goes forth as brightness, and her salvation as a lamp that burns – Isaiah 62:1. You heathen Christians, you let yourselves be persuaded by false teachers ... to believe that the Jews were forever disinherited and rejected by God, and that you were now the rightful Christian Israel to possess the land of Canaan forever – Israel’s Good News (1688) by Anders Pedersen Kempe (1622-1689). He who testifies these things says, “Surely I am coming quickly. Amen.” Even so, come, Lord Jesus - Revelation 22:20. 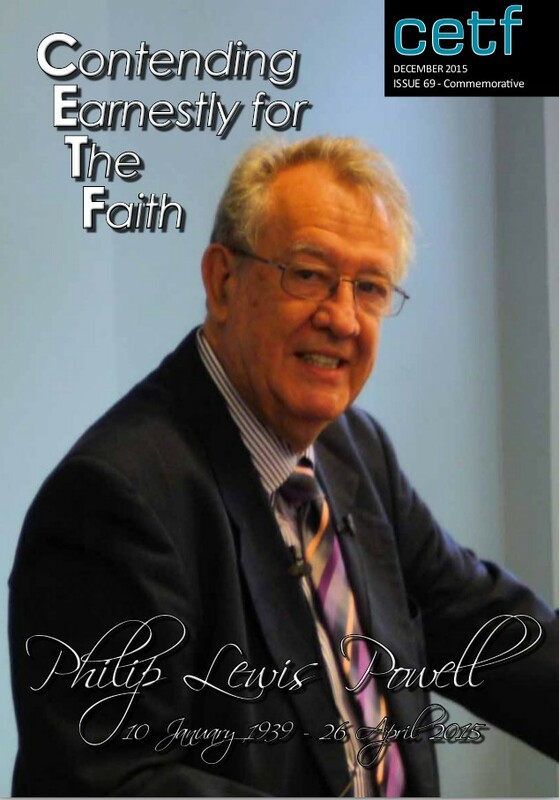 Highly recommended, Paul’s book, For Zion’s Sake, is one of the best documented that I have ever read – see CWM Catalogue for cost and order details. Space Constraints – Letters from readers have been a lively part of CETF from the beginning, and have increased in quantity, so it has become difficult to keep up. Gradually we plan to switch to “on-line” comments. Each article now appears at www.cwm.org.au where short letters can be posted. 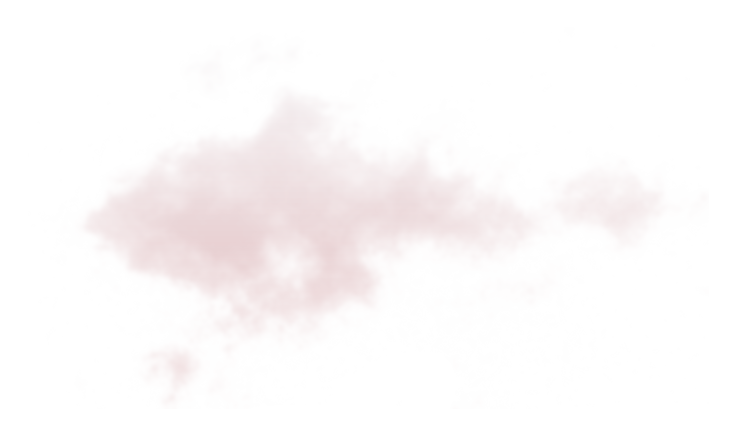 Another option is to go to http://www. christian-witness.org/blog/ find the appropriate thread, or create a new one, and post your comment. The Forum was a failed experiment and for the present is suspended. Work Load – reluctantly I have been forced to acknowledge that I must divest myself of some of my administrative activities. This is not easy to do. The Lord has enabled CWM to attract an army of volunteers, which is great. However what is now required is someone to operate full-time in an administrative role to coordinate the work. This will require faith and finance. Please pray that the Will of the Lord be done. We do not seek great things for ourselves but for HIM. I really have no heart to support land claims by unbelieving Jews in Palestine. To me, this is poor use of church resources and I would like to keep to the main game. We agree, in part, and have always stood against any organisation that is occupied in getting Jews back to Israel without preaching the true Gospel to them. They must hear the Gospel and that is the main game. However when anti-Semitism rears its ugly head, as it is once more doing in our day, it behoves those who are true Christians to mount a defence. We do that on a biblical basis with consideration of current events. Several who attended the Brisbane Conference, after hearing the excellent talks by Paul Wilkinson and Paul Cohen told me that they had no idea things were so bad within the so-called Christian Church. Anti-Semitism is rife with some entire denominations boycotting Israel and their products. Sadly biblical Churches can become complicit by their passive endorsement of such denominations. I’ll give the conference a miss, thanks. Many aspects of CWM are much needed correctives for parts of the body of Christ today, but in my opinion this is not one of them. The full statement appears together with my response on the CWM blog. 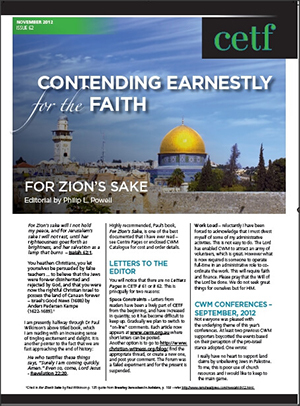 In my opinion he was confused about the two “faithful remnants”, about the biblical land promise, and about the nature of our CWM Conference. Please read the full blog comments near the end of the thread - http://cetf.co/Qmlq8Z and feel free to leave your own comment, which will be moderated in the normal way. Any attempt at advertising will be disallowed, as will discourteous comments. Kathleen and I have six lovely grandchildren. 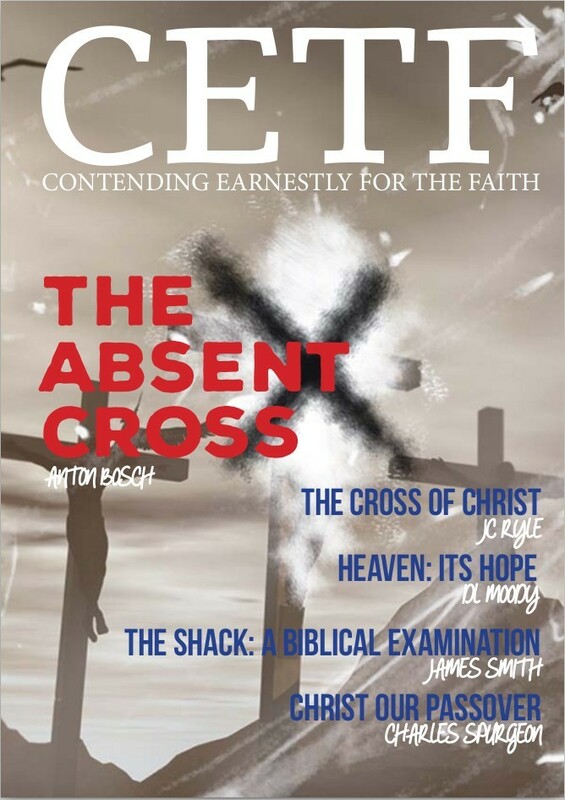 In this issue of CETF our only granddaughter has written a short article about the Old Testament Priestly Garments being an assignment from her home schooling, please see pages 39-40. Yes it was her own work. 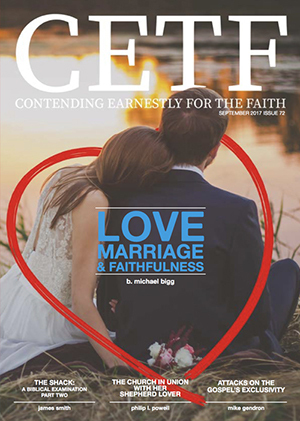 The Imperative of Effectual Payer is the last in a series of four articles (to be published in CETF # 63, God willing). written by my close friend in the ministry, dear Aeron Morgan. We are deeply grateful to him for the careful research and the biblical underpinning of his four articles. As most will know, Aeron has recently passed through deep waters having sustained an operation to remove a tumour from his brain, followed by an extensive course in radium therapy. Please pray for this genuine servant of the Lord and his wife Dinah as they face a necessary change of life-style. Aeron remains alert and active in his writing and serving his Lord. 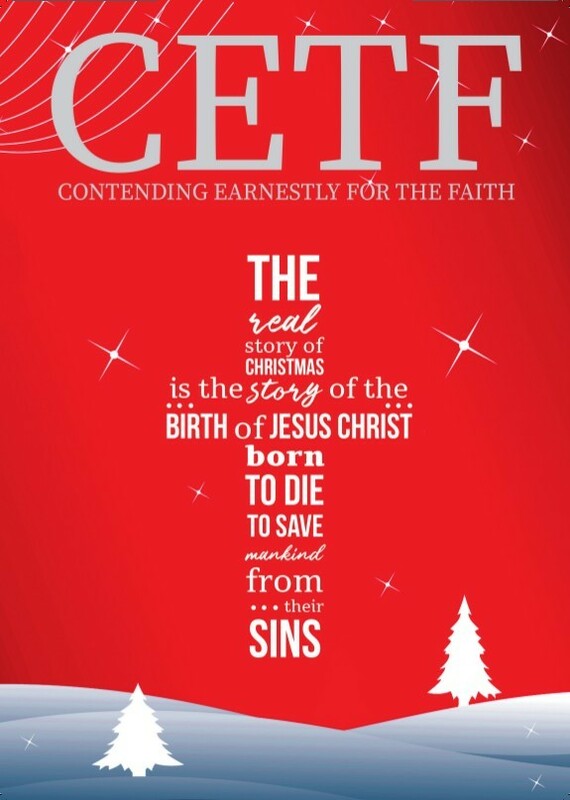 We trust he will be able to continue to write for CETF and on his own web site (http://cetf.co/SVDbrE) and continue preaching.